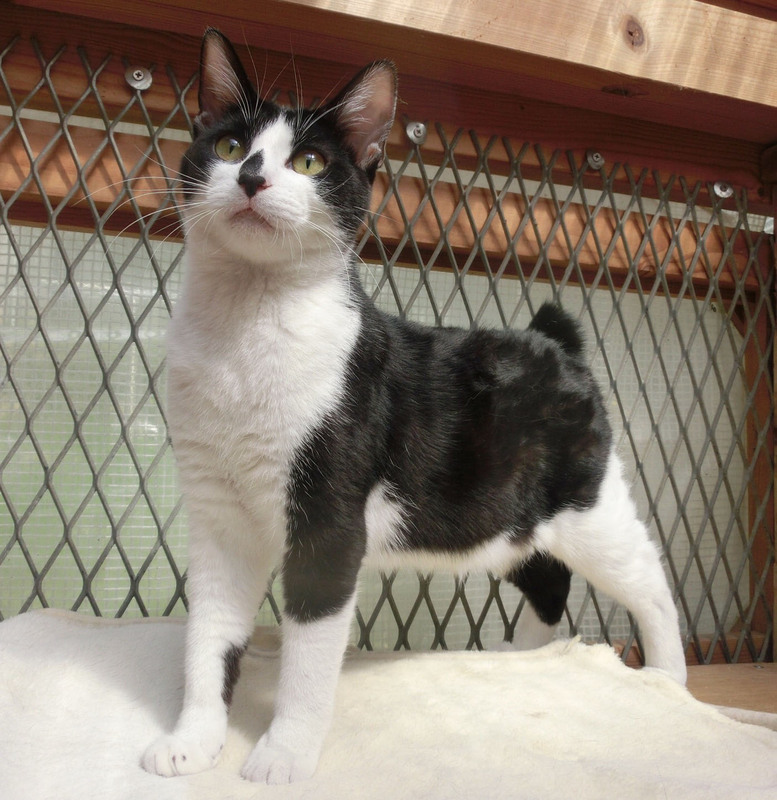 Lemon is an incredibly cute youngster that was put in a box and dumped when he was just a tiny kitten. One of the lucky ones, he was rescued and brought to ARK last June. 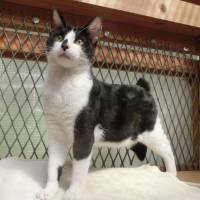 Believed to be just under a year old, the black-and-white bobtail is a whirlwind of energy and simply crazy about toys. He’ll play fetch till the cows come home and even bring you heavy things, such as pens, as well as interesting bits of paper in the hopes of getting in a bit of game action. He also loves sitting quietly on laps, but he’s more likely to rush you in a “Play with me!” attack. Inquisitive, healthy, friendly and lots of fun, Lemon is the perfect cat for people who prefer a cat that’s, well, quite a bit like a dog! If you are interested in adopting Lemon, email ARK at Tokyoark@arkbark.net or call 050-1557-2763 Monday to Saturday (bilingual) for more information. Tokyo ARK is an NPO founded by Briton Elizabeth Oliver. It is dedicated to rescuing and rehoming abandoned animals. All animals are vaccinated, neutered and microchipped. Prospective owners are requested to undergo a screening process.